FYI amigos this is a 20I8 update !! 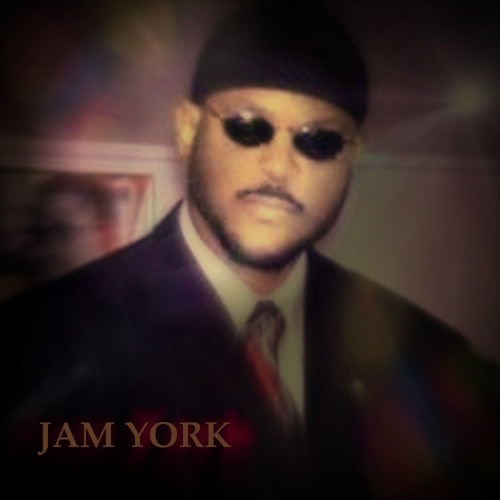 ..Iots of my missing SC hits were transferred to Amazon, Itunes, Spoitfy & numerous other streaming sites since Jan 2017 those songs are no longer on this SC platform...But I am always making music :))) .....Anyway..If interested in those hits ..Search for "Jam York" maybe under "World Music" or maybe UK, Ethiopia- Africa,USA ,Brazil etc ... .I personally do not handle that task..... Here are 2 of many links .. http://itunes.apple.com/album/id1374646302?...and.. http://itunes.apple.com/album/id1374646302?ls=1&app=itunes......thanks I belong to no particular genre...My listeners make that decision... "Genre" is a clever invention by “commercial record labels” for "their" monetary benefit not creativity from an artists ... Genre represent a "single mood” and a single style. .. I certainly don't fit that box…based on my life experience.. I see myself as an Artist / musician/producer that proficiently play many live musical instruments painting pictures and events "outside of genre" also worked with numerous world renowned producers at one time as well ........but their credits are not mine ... ..I once owned my own indie label ,long story....not anymore tho by choice.... .. Professionally music started at age 15 years .. A talent scout from a "major commercial label " spotted me doing a HS concert... He arranged an audition, I got signed..They groomed me professionally for lack of a better word ... I started out singing background for many legends.. btw those legends credits are not mine that's why they not mentioned here by names ….. . ...The Record company's A&R person told me to focus my talent on "sexually oriented love songs"...however I refused ,... ..He "shelved" my songs :) adding that I was "too young to be writing scio-political songs umm ?? ..ok.... ...... However, I stayed with em learning “every aspect” of the commercial music ........ …Then I moved on to create my own Indie Label..Which I terminated after many years in 2008 ......... my choice.. I am USA citizen but originally from a global nomadic "travelling family" originated in the UK , historically they traveled & lived in numerous countries globally since the early 1800s…That’s a marvelous cultural gift from Jah to me ... I usually see things from a "global perspective " not a "tunnel vision" of ONLY my local USA corner store… ......."THE WORLD IS MY OYSTER"... ...95 % of the songs I post on SC... "Are all originals” played “live" .. My preference.... .... .. ..Jah lives !!!! !